Tour guide Ben Spears shares the history and legend of Jack Daniel’s, along with his favorite stories from Lynchburg, Tennessee, where every drop of Jack Daniel’s is made. Ben Spears: This is barrelhouse 114 they call it, which is the oldest barrelhouse we've got. 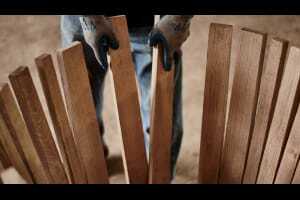 Lucas Hendrickson: Ben Spears spends his days opening up the stories of the Jack Daniel Distillery for whiskey lovers from around the globe, but he rarely tells those stories the same way twice. Ben: I tell people on tours sometimes that none of our story is usual. Everything about our story is unusual, from the beginning to now. Lucas: On this episode, we take a look back at the origin story of Jack Daniel, and the distillery that still bears his name. We look at the location, properties, and people that continue to make Jack Daniel's unique, and we pass along a simple nugget of wisdom that could literally save your life. My name is Lucas Hendrickson, and this is Around the Barrel. Welcome to the debut episode of Around the Barrel, the official podcast from the makers of Jack Daniel's. I'm your host, Lucas Hendrickson. With this show, we're going to take a look at the stories, the legends, and most importantly, the people that make Jack Daniel's Tennessee Whiskey one of the most popular spirits in the world. From its humble beginnings in the hills of Middle Tennessee to its current place as an iconic brand known all over the world, Jack Daniel's has played a role in celebrating good times, from back porches to concert stages, from high-end restaurants to backyard barbecues, from globally watched sporting events to quiet nights at home with friends. Every drop has emerged from the hollows of Lynchburg, Tennessee, and Ben Spears gets to tell the story of Jack Daniel's to thousands of captivated friends every year. Let's begin. Ben: Hi, my name is Ben Spears from Fayetteville, Tennessee, and I work with Jack Daniel's as a tour guide, and I talk about whiskey. Lucas: [laughing] There you go. Ben: [laughing] That's pretty much it. So, yeah. Lucas: How many tours do you think you've given over the time span? And how did you start? Ben: I wish I would have counted, I started giving tours July the 1st of 2014. Since then, who knows? Thousands, for sure. Lucas: That's a lot of talking about one thing. Ben: That's a lot of talking about one thing, but the thing is, there's more than one thing. Yes, it's all Jack Daniel's, but then you can get into the world of whiskey, you get into the world of history, and then there's so much more. Lucas: Give us the shorter version of the beginnings of the distillery, Jack's origins and how this became the central place for, and the definition of, Tennessee whiskey. Ben: With Jack Daniel, he actually grew up in Lincoln County, Tennessee. And so he moved out from his family's home at a very early age, Jack's family dynamic was not the most conducive of places. He came from a large family, tenth of 10 children to his biological mother. His family wasn't in the best financial situation at the time, being such a large family, their farm doing probably okay, but not incredible. And being the runt of the family, they treated him as the runt of the family, and that was just kind of how it is, and I'd say especially at that time in history with those large families, the way they were. So he said, well, I'm gonna move out from this situation and move in with somebody else, and he did. The family probably thought "Well, he'll be back." You know, and I've always wondered if the dad was thinking "One less mouth to feed" as well. But he moved in with his neighbor, which was only about half mile down the road, his name was Felix Wagner. He didn't spend much time with Felix, about a year or so living with his family, and then from there he moved in with a man named Dan Call, and Dan is the guy that started really changing everything for Jack, because Dan was a very well-known man. He was a store merchant, he was farmer, he was a whiskey maker, and on top of all this, he was also a minister as well, kind of a Lay minister at the time, but being what he was, he was very successful, only about 17 at the time he met Jack, around about that age Jack at that time would have been about seven or eight years old, believe it or not, moving out from his family's home that early. So he moves in with Dan, and was there to help him. Dan and Jack met at good timing. He was coming through one day to say "Hey" to Felix, he ran into Jack. He said "Who's this running around here?" So Felix kind of explained the story. He said "Can I have Jack to come with me?" And honestly, from the way the story is told, Felix basically told Dan "He can make his own decisions, ask him." So there you go. He was there with Dan and his family to help them around the house and be kind of a presence about for the young wife and the baby daughter of Dan Call, and also to be around the store as an errand boy and apprentice. So Dan was a pretty busy guy. His wife, from the understanding of things, taught Jack most of what he knew about the numbers and that sort of thing within the store. They worked very tightly together, but they ended teaching Jack quite a bit about different things, whether it be sales, marketing, business, agriculture, but when it came into the whiskey side of things, Jack started making whiskey around about 1860, before the Civil War, before the U.S. Emancipation. And so at the time, he was introduced to a man named Nathan Nearest Green, and Nathan Green was an enslaved man of Dan Call's. Nathan's main responsibility for Dan was he made whiskey with him, so that way, the way it could work is that Dan and Nathan could be there making whiskey, and when Dan had to travel, Nathan could make whiskey very well on his own and keep the operation running smoothly. Then, when Jack became part of the the team so to speak, most of the day-to-day operation was going to be Nathan and Jack, and so most of Jack's whiskey making knowledge was really taught to him from Nathan Green and then everything else really from Dan Call. Lucas: And do we know how much they were selling this whiskey around the area for? And in what form, what volume? That kind of thing? Ben: From my understanding, a fair amount. They were traveling far distances, especially for Jack's age at the time. He would have been in his young teens when he was selling whiskey and making whiskey with Dan Call. So Dan would sell it in his store, that's for sure. But he would also travel with it, as far as Huntsville and Decatur, Alabama. Which is a pretty fair distance down that way, and so Jack would get it on the wagon, and at the time, whiskey making wasn't really cracked down on as far as legislation. They didn't really do that till the mid-1860's, after the Civil War when they wanted some federal tax money and they said we've got to kind of nip this up and figure out what we can do here. So it wasn't something that legalities they were looking for you, but if the wrong people found you, you didn't want them to find you. You didn't want to sell to the wrong person then have something bad happen. So with that in mind, Jack had to be a little sneaky about it. So the story is told that he actually put it in a wagon and he covered it with with meats like bacon, and he would cover it. That way, he'd sell the meat on the way down as well, and on the way back up, but also hide the whiskey underneath. So he would go as far as that area, even in wartime. Decatur was a pretty hot-bed area down there at the time, being on the river and so it was interesting, the stories involved around that. It was Jack and oh, I think it was his cousin that he traveled with sometimes, and they actually sold whiskey together. Lucas: Now, when did he take over that whiskey making business? That's a fascinating story as well. Ben: He was learning with Dan and Nathan for a few years or so, roughly about I'd say, living with the Call family for about six or seven years, and learning from that whole situation, then eventually, being a minister as he was, a lot of folks came to Dan and said, "Dan, we don't understand how you can do both things. One of them, "either or" kind of situation, is fine with us." But a Revivalist preacher had come through the area by the name of Lady Love, and she got people a little bit fired up about the sins of alcohol and what it could involve there. And so with that, they all looked at Dan and said "Dan, what's going on? What do you do now?" And so to kind of appease everyone and feel comfortable about what he wanted to do, and in his heart do the right thing, he sold the distillery to Jack. So Jack became your owner-operator at that time. It would have been his mid-teens or so, based off the timeline, and so very successful, very very quickly. So when he became your owner-operator, he was still in the same location that he was before. He was still down in Lincoln County, Tennessee. So he was still making whiskey on the Call property, and he started building his business as we now know it as Jack Daniel Distillery, but started from him in very humble beginnings with himself, and then he also wanted somebody help him out. He said "Well, it makes sense. Let me hire my teacher Nathan Green." So he asked Nathan if he would like to work for him, and the first hired crew member of Jack Daniel's Distillery was Mr. Nathan Green, who became known as our Master Distiller. So the first Master Distiller of Jack Daniel Distillery was Nathan Nearest Green. Lucas: And then the move to where we currently sit? 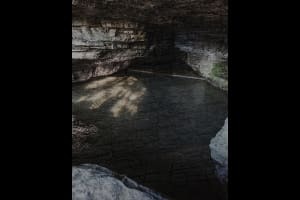 Ben: Where we currently sit, what we call the Cave Spring Hollow or "Hollow" if you like. So with the move, Jack wanted the water source. We haven't really talked about it too much, but that is what drew Jack to this area of at that time Lincoln County and now Moore County. It's a cave spring that we've got here. That is an integral part to making Jack Daniel's Tennessee Whiskey, and in the whiskey making process you need certain water character, you need an iron free water, (iron) interacts negatively with the process, it ruins color and flavor. Along with that as well, you're looking for cold water. Originally, you'd need underground springs because originally, making whiskey you had to keep certain processes cool. That was the method to do it. You had to have the naturally cold water. So when he heard about the water quality at this location, it was just off the charts. There's not water in a large radius from here that's anything like it, and there's really not water anywhere else that's anything like it, because water is very location specific to the environment. And so, it's a cave spring that starts about a mile inside the cave and from there flows up and out and it's a constant temperature of 56 degrees Fahrenheit all the time, which if you don't know what 56 degree water feels like, it's pretty chilly. It's not your pool water temperature. And so it's a good cold water that could be used as a cooling technique and along with that, for certain interactions in the production process otherwise, with cooking and fermentation, it was just perfect. It had the right character on mineral makeup and everything of that sort. So it always blows my mind that they knew these many things at the time they were in, and Jack being as young as he was especially, but he knew what he needed, and he said "This is the water for it." So he said "Well, we're going to move." And Nathan apparently at the time, from the understanding, was not interested in moving. We don't really know exactly why, but he didn't want to relocate, maybe seven miles back then was a very different distance these days relatively, so he was not interested in making whiskey at this site, but the Green family did, through the sons George and Eli, and also we believe some cousins were involved as well in the Green family. So, George was the one that we know really the most about as far as his situation with Jack Daniel Distillery, we don't know his title exactly, or what he did with Jack, but George and Eli were also hired members of Jack's crew at that time and they they transplanted to this area and they kept making whiskey with Jack and continued the Green family tradition as well. So the really interesting thing is, and a fantastic thing is from the Jack Daniel family and also the Nathan Green family, we still have family from both sides that work within Jack Daniel Distillery in many different positions. And so to have the two founding families being involved the way they are still is a testament to what we are as a company and in the pride we have in the company, the brand, and it's an interesting relationship throughout the years, that's for sure, and it's been very good for everybody. So yeah, the George Green line kept it going, some others as well. But we don't have a photo of Nathan unfortunately, we talk about a certain photo on tours, but we don't have a photo of Nathan quite yet. We're still looking around, and the family's looking as well. But we do have a photo of who we believe to be George Green, that not only sits in the photograph with all these other gentlemen, he sits right next to Jack Daniel, the owner, founder, operator of Jack Daniel Distillery, so it tells us a lot about the situation between the families and the men. Lucas: And we still have Jack's original office. It sets the scene for so much of the emergence of the distillery itself and then the families that have been involved with it after Jack Daniel passed away. Talk a little bit about how that kind of became the centerpiece of the tour. Ben: We've been here a long time now, there's been many years that we've gone through, and many changes to the look of the distillery within still though keeping some things original. It's a really fantastic place in that regard, because we've been in the same location for so long. We've been making whiskey officially as the oldest distillery in the nation since 1866, so we're not the oldest whiskey maker, but we're the oldest legal whiskey maker, and so we've been in this location for many, many years and that's a blessing to us in a lot of ways because it reminds us of where we came from. So the office has always been so important to the story of Jack Daniel's and to the whole story. The office is the oldest building we've got on the property. From what I've been told, it started being constructed around 1870. It was before Tennessee prohibition, which in Tennessee's prohibition was actually different than Federal, it was before it, in 1909. And so it's a very, very old building. So just its age alone makes it very precious, but in the Jack Daniel's sense of things it reminds us of where we came from and why we're here, is how I put it. Lucas: So this office that ties the whole company back to its history, talk a little bit about the things that are in it now, as well as a very integral part of Jack Daniel's mythos that is in that building. Ben: Coming down from the rickyard where we produce the sugar maple charcoal for the Tennessee whiskey (the Lincoln County process technique "charcoal mellowing") you come down from the rickyard which you can see in these old photographs. That's a whole different space now, as far as the way it looks, but then, it did the same thing it does now, it just looks a little bit different. But you come down the hillside, and we're in a valley in a hollow. So with that, you're going to come down into the valley area and you're going to see the office basically right in front of you. We've got one of our barrelhouses that's off in the distance, I'd say if you were flying as a crow about a half mile, maybe a little bit less. So it's a seven-story tall barrelhouse with Jack Daniel's whiskey maturing inside it, so that's off in the distance. And at certain times of day the most wonderful thing you'll ever see because the sunlight hits it just right, it's amazing. And then you've got the distillery that you can see a little bit of to the left, the grain mill, the production facility, the distillation, the fermentation house. And so you're coming down and you've got this view which is pretty fantastic and then you're going to walk down some stairs that have been there for years. We've had those stairs there I know since the 40's, so you walk down some stairs and the office is just about 20 feet to your left, two doors on the front and a porch that was actually added later on. It did'nt originally have a porch but there's a porch on the front that you'll see some older photos with people sitting on them, a lot of the old-timers back from those photographs. And so you look at the porch and you see those two doors, almost like eyes sometimes, especially at night. I love it at night, and I've taken some pictures that at night that place just looks amazing. It's got that soft kind of amber light inside it and then when you're going up to close and it's this time of year and it's already gotten dark when you're closing the path down, it's a pretty magical place at night, for sure. So you see the windows and lighting, and it's so warm and inviting. Honestly, even though it wasn't a home it has a certain feel about it. Most people assumed it was his house when you walk up to it. So you look at it and you've got the porch there you got the two doors and then we step inside and it's got three different rooms, two of which had that wood floor to them, and there's some desks in there, some desks inside the the office that you look up into a photograph to the right of the the Motlow brothers, Lem Motlow's sons who were later owners of Jack Daniel Distillery as well. And you see in that photograph, "Oh, there's that desk and there's that pot-bellied stove that's sitting in front of me that he did the building for so many years, and then eyes over to the left and you see the safe, which if you know the Jack Daniel's history and the Jack Daniel's lore, we say the "infamous safe" or the "notorious safe." In a manner of speaking, the safe that killed Jack Daniel. Jack, his personality, he was a late night kind of guy. He was an entertainer, people pleaser, charismatic kind of guy. So he was a naturally late night guy, we know a lot of individuals probably are, in our personal lives, like that. But he was also a late-night businessman. He was a saloon owner, he owned two, the White Rabbit and the Red Dog saloons were both saloons on the Town Square of Lynchburg before prohibition was enacted. And so being that personality, and also that businessman going on, he was a late night man. That didn't really feel like oh, let me be the office opener as well. We've all probably been in that situation. So his nephew Lem that worked for him at the time, he was that role, he was office opener, he was the safe opener. So the combination of the safe was not a habit of Jack Daniel. Jack Daniel rarely opened his own safe because he really came into work first that way. So one morning, he was in a hurry. He actually beat everybody to work. He needed some things from the safe and he had some travels to attend to so he didn't want to get hung up at work. And so he comes in early, beats the crowd and nobody's there. He's sitting there trying to open the safe, and he can't get it open. So he gets very frustrated about the situation and he kicks the safe with his left foot, and with that kicking, he shatters his left big toe, and then from that, he didn't see a doctor about it very quickly. He eventually saw the doctor when it was becoming very kind of an issue, and problematic to him. And with that the doctor said, "Well, it's a little too late. This has been infected with gangrene." So what they started trying to do at the time, because they didn't have any other methods really to solve the problem, they started amputating. So they took the toe, they took the foot, they kept working up the leg through the years but actually six years after kicking the safe, Jack died because of complications that came from the original infection from the injury from kicking the safe, which was in 1905, and he died in 1911. So the moral of the story, you don't go into work too early. It could kill you. Lucas: So like I said, you get a lot of the same questions over time. I imagine one of them is what are the perks of the job? Ben: What are the perks of the job? Many, many perks, but what people are asking me, I know what they're asking every single time. Lucas: Not too hard to detect. Ben: They're asking, "Do you get free whiskey?" and the answer is "Yes." In a lot of production of different alcohols, beers for instance, and you know that background, there's ways that you go home with some free items. In our situation with the spirits business, it's not quite as relaxed as the beer business in that regard, but what they've decided to do and they've been doing this for many, many years, I'd have to actually look back and ask how long has Jack Daniel's and Brown-Forman done this, we have what we call Good Friday, which is the first Friday of every month where we actually get a free bottle of Jack Daniel's with our paychecks. So there is that perk for sure, which every employee gets. You could work a day within the month, and if you are above 21 years old, you are going to get your Good Friday bottle for working for Jack Daniel Distillery within whatever you did. It's a very, very nice perk. I've made a lot of friends that way. Lucas: I would imagine so. Ben: Made a lot of friends that way. Lucas: Part of the distillery's mystique, I think, is that it is located in a dry county. So talk about what that means and especially people outside the United States. They probably find that to be confusing, if not out-and-out fascinating. Ben: Right, right and mystique is the word for it, I would say for sure, and believe it or not, there's actually a lot of folks outside of the U.S. that become very surprised when they discover that in their own country there are actually some dry areas as well. I had a group of Canadians one day that were boggled by the whole situation, and they were just fascinated, and I said, "there's actually some dry fun of dry areas in Canada". They said "No, no, that can't be possible." I tell people, unless you live in a dry area or right outside of one nearby, you're not going to really know what that situation is. But it's an area that has certain restrictions on alcohol sales, or alcohol consumption. With our situation, we came up here before that was a thing, and then eventually in 1909, when prohibition struck Tennessee and they decided to take all that out, we actually remained dry, in every sense really, until 1938, and that's when we started producing and distributing whiskey again, that was based off state legislation. Then from there, Moore County decided we'd prefer to remain dry, and that's their call, that's their law if they want to do that. So, with the the area around Moore County and Lynchburg, you don't have liquor stores. You don't have bars and taverns. You cannot buy alcohol by the drink within restaurant establishments and things, and of course, you can't drink in a public setting. In the privacy of your own home, you can consume as you will. You can sell beers at markets and groceries, basically it's malt beverages, which is your 6.2 percent alcohol content and below. We actually have a Lynchburg Winery now, which works under some different regulations, but with the spirits business, it's an interesting concept the fact that Jack Daniel's, the number one selling American Whiskey in the world is produced completely from a dry county in the middle of Tennessee, it is fun. We call ourselves the wettest dry county around, because the state eventually allows us to start doing some things that affect the guests and everybody that's coming to see Jack Daniel's, the friends coming to see us. So back in 1995, they allowed us to actually open a bottle shop, which was an available source for people to buy souvenir Jack Daniel's. And you're buying commemorative bottles, things that you might not find other places and things of that sort, and then some that you can as well these days, but something that you want to buy and maybe get engraved and things like that. So the bottle shop became something we were allowed to sell our product through on the grounds, you had to buy it here and of course you couldn't take it and let's open it up and go at it. But from there in 2012, they allowed us to start sampling as well. So on our property within the distillery and within the visitor center, we have a lot of restrictions on it, we have to do what we need to do to respect Moore county's idea on things, but they do allow us to do a few things within our distillery and within our property that allow people to experience the full experience of Jack Daniel's, as we said, the sampling tours make it very complete, you talk about whiskey for an hour and ten minutes and then you get to actually sip what we've been talking about for a little while. And so it has been very helpful, but yeah it is a mystique for sure, the dry county law within Moore County. Lucas: Do you find that there are people who take your tour that when they do the sampling, they might feel like they're getting away with something now, because there's a little bit of a charge to that? Ben: Somebody always asks, "How are you doing this within a dry county? How are we doing this?" People ask about it I'd say at least every tour, at some point. They ask us, "How do y'all do what y'all do within a dry county situation?" And I'll throw it to the state of Tennessee, they're gracious for what they've allowed us to do within the dry county law and Moore County is gracious for what they've allowed us to do within their own County and it's a very symbiotic kind of relationship between Moore County in Lynchburg and Jack Daniel's. I'll often word it, "Jack Daniel's isn't Jack Daniel's without Lynchburg, and Lynchburg isn't Lynchburg without Jack Daniel Distillery as well." It's really one and the same, and it's a nice relationship that we've had through the years. And so everybody I think is not that frustrated by it, it's just the way it works around here. Lucas: Around the Barrel is the official podcast of the Jack Daniel Distillery. Follow the podcast on the web at JackDaniels.com/podcast. If you like what you hear, please subscribe, rate and review at Apple Podcasts or wherever you gather your on-demand audio. Always remember, with great podcast and great whiskey, please enjoy responsibly. Join us next time for more conversations Around the Barrel. Your friends at Jack Daniel's remind you to drink responsibly. Jack Daniel's and Old Number 7 are registered trademarks, copyright 2018, Jack Daniel's. Tennessee Whiskey, 40% alcohol by volume, 80 proof. Distilled and bottled by Jack Daniel Distillery, Lynchburg, Tennessee. Around the Barrel is intended for listeners 21 years of age and older. Ben has worked as a tour guide at the Jack Daniel Distillery since June 2014. He’s a resident of nearby Lincoln County, and his background in literature, history and theater perfectly prepared him for sharing the brand’s story with friends from across the world. 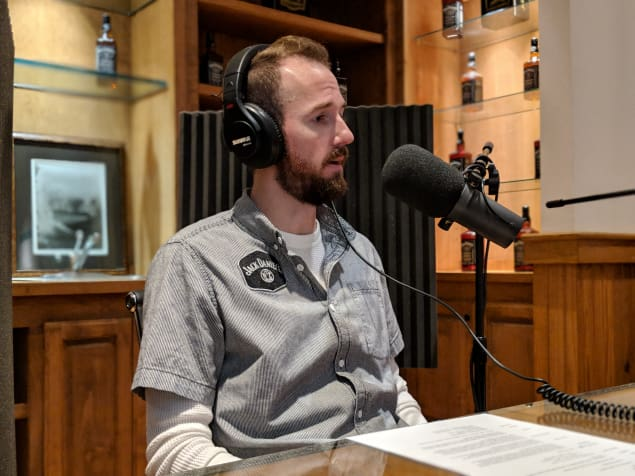 In this episode of Around the Barrel, Ben joins host Lucas Hendrickson to discuss his job talking about whiskey, the history of the distillery, what killed Jack Daniel, and one of his favorite perks – Good Friday. Join us for this conversation and more on Around the Barrel, the official podcast of Jack Daniel’s. We invite you to subscribe, rate and review at Apple Podcasts or wherever you enjoy your on-demand audio.